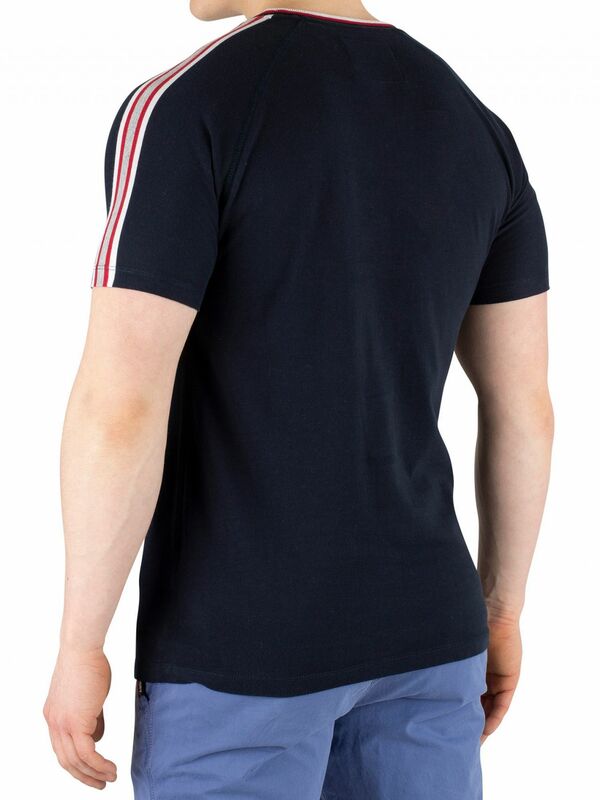 The Orange Label Tipped Sports Stripe T-Shirt from Superdry comes in Eclipse Navy colour, featuring a crew neck and short sleeves. 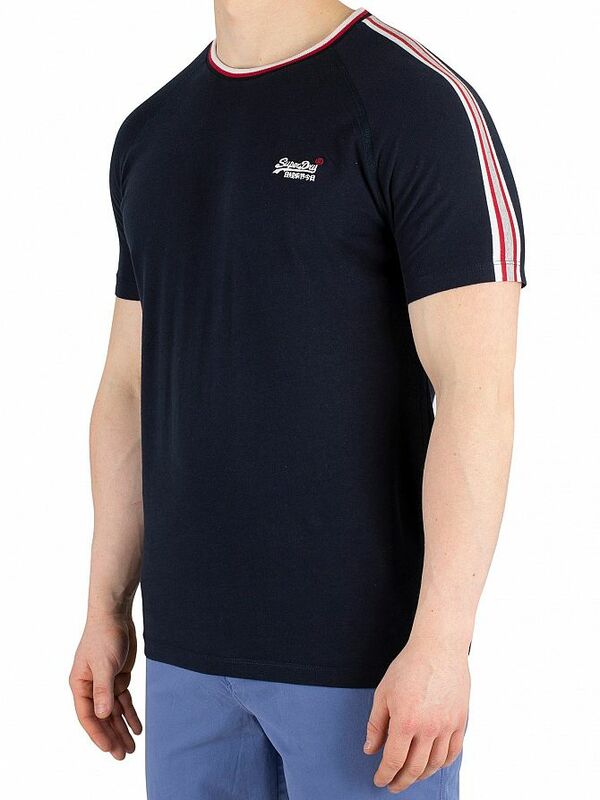 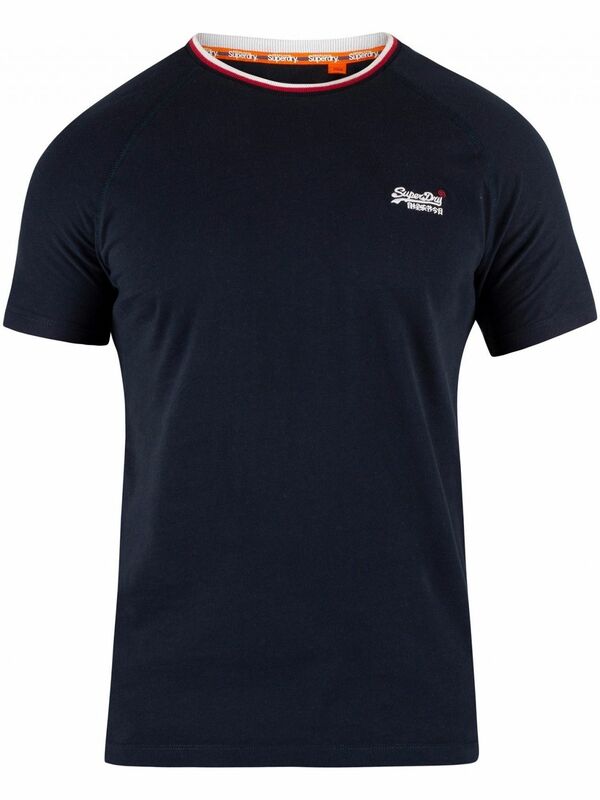 Coming with a straight hem and tipped neck, this t-shirt for men sports an embroidered logo on chest. 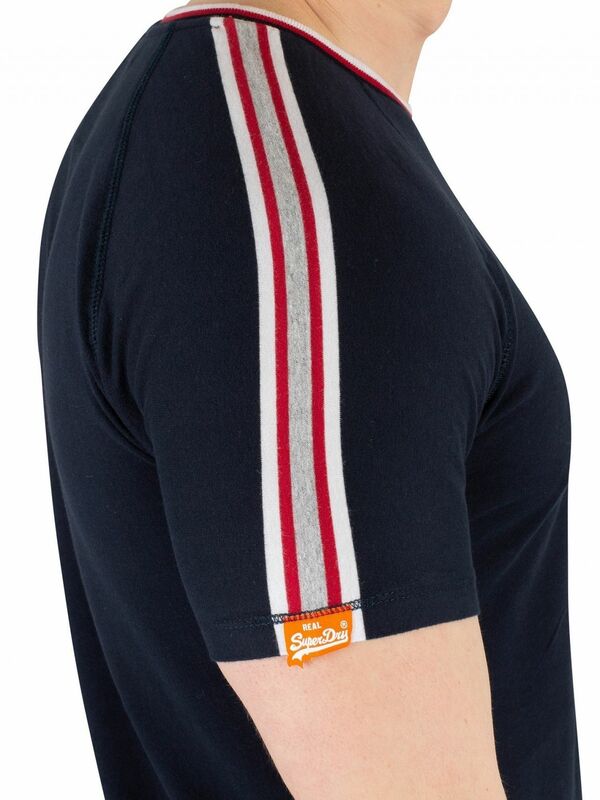 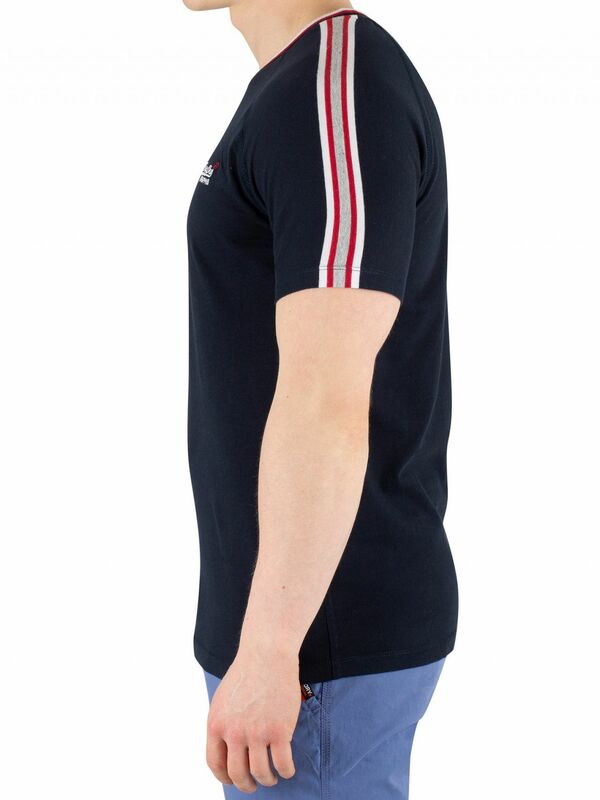 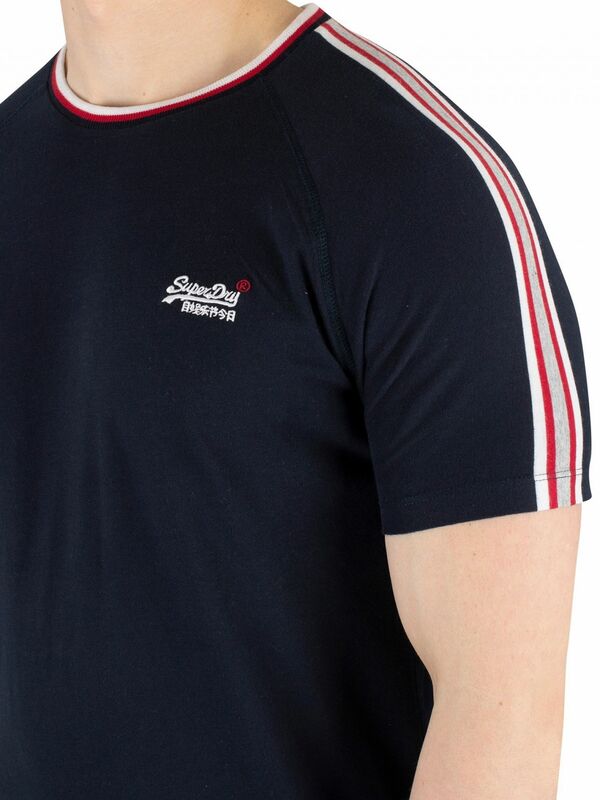 This t-shirt also sports a branded tag on right sleeve and stripes down both arms.